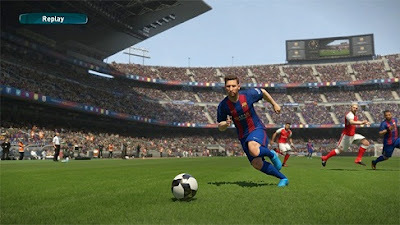 The latest entry in the PES soccer simulation video game series, PES 2017, from Konami, arrives next September 13 for all major consoles and PC, and fans of PES series can now check the features of the game in demo versions released for all consoles. 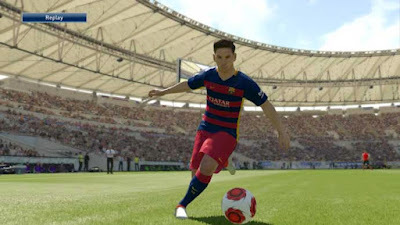 In addition to changes in gameplay, new stadiums and updated rosters, the demo also highlights the game's graphics, which are even more detailed than seen in the PES 2016. Faces, cameras, lawn and uniforms are some of the items that received the change, now more realistic and neat. 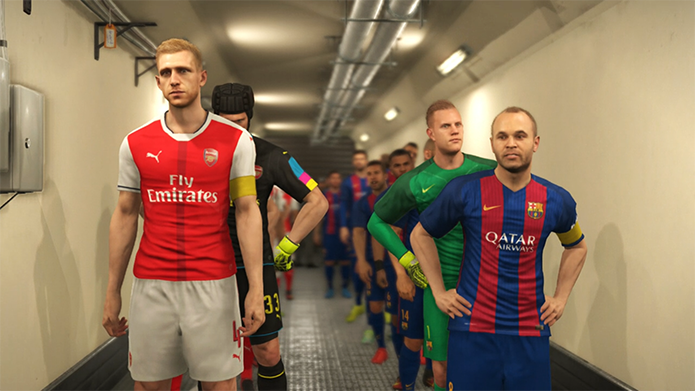 Check out the visual comparison between the new PES 2017 and PES 2016. 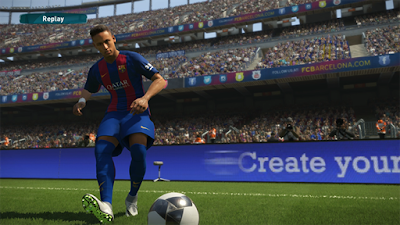 Starting with the game menu, PES 2017 takes a step forward from its predecessor and modify some information for a useful squad list, which allows players to grant their initial team without the need to access the game plan settings. The appearance is also cleaner, in addition to uniform models, more detailed. 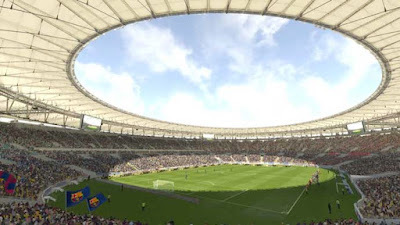 When starting the game, the old issues that show the inside of the stadiums were replaced by beautiful external images. 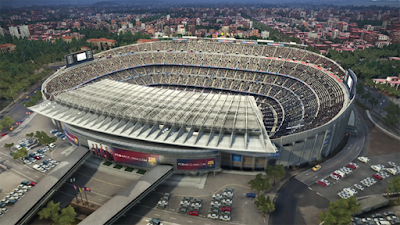 The highlight is the Camp Nou, the legendary Barcelona stadium. Now you can check the arena completely, including streets and nearby buildings, which were created by mimicking real sites. 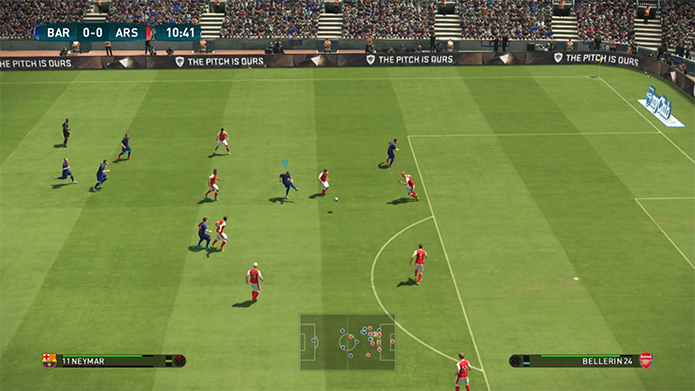 The teams enter scenes were also improved, with more cameras "dramatic". The angles are more varied, and show more movement and tension in players before entering the field, faithfully portrayed the famous stadiums tunnels. 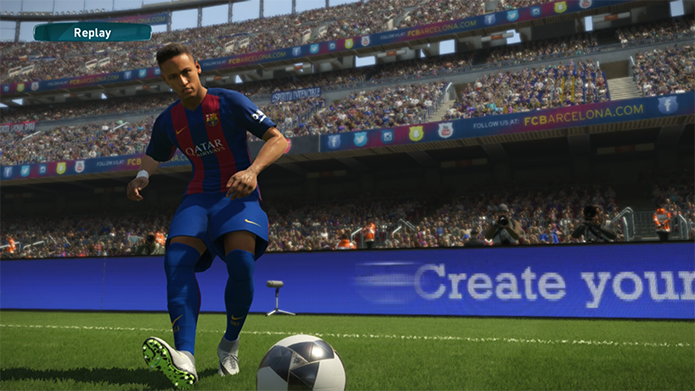 With the ball in motion, PES 2017 shows further improvement, including more complex and compelling animations. 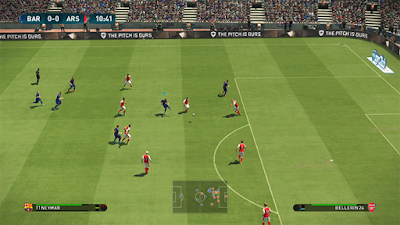 Details such as the movement of players and received racing style settings, and help create a climate more like the real football. Lawns, advertising boards and around the camp don’t have many changes. 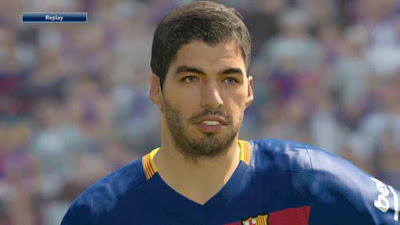 Following the tradition of Konami simulator, close-ups of athletes reveal digital versions of stars like Neymar, Suarez and Messi. Features and hair were reworked, and are even more realistic than in PES 2016. 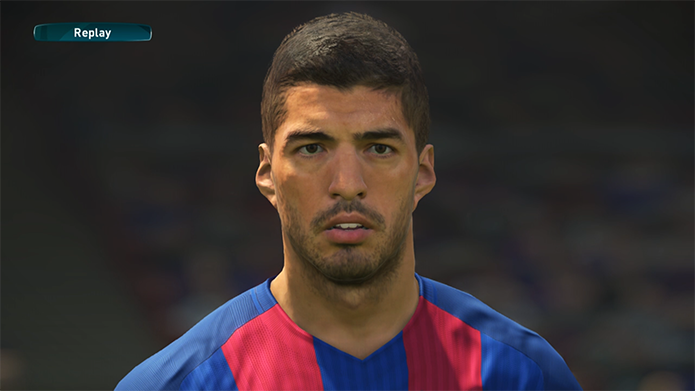 Although criticized by the fans of the series, little twisted and changed in PES 2017, still blurred and static. 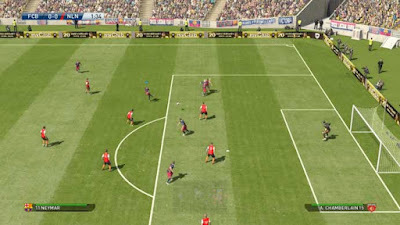 Even in fields with closer turf, you can not notice any improvement, as more varied movement or more bright colors. 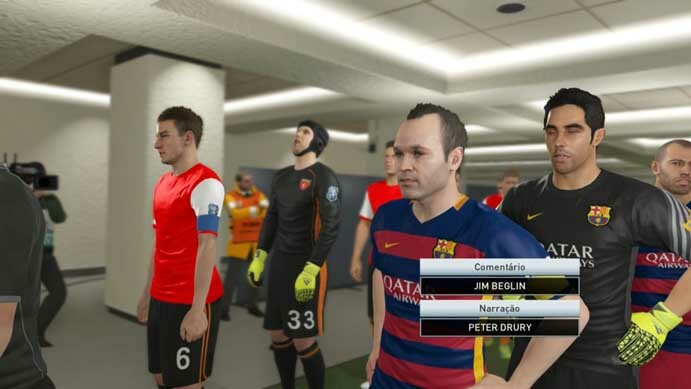 In PES 2017, the new replay tool gives to check closely the uniforms, boots and hairstyles of the players. Although there is no significant news, the models are beautiful and detailed, and impressed by the similarity with the real versions. Players also had a subtle change in the physical structure, which left them with a more athletic look. 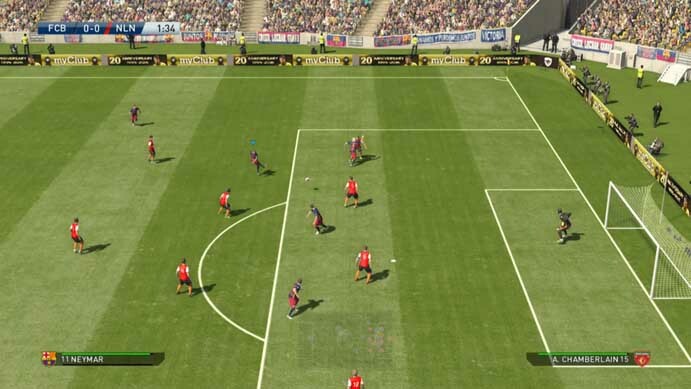 Animations of dribbling, kicks and passes little changed, and easily confused with those used in the latest versions of Konami simulator.